Brandon Torres Declet is the CEO and Co-Founder of Measure. Heserved as Counsel on Capitol Hill to Senator Dianne Feinstein and Congresswoman Jane Harman, advised the NYPD Counter Terrorism Bureau under Commissioner Ray Kelly and consulted regularly for the Departments of Defense and Homeland Security. Declet also served on the FAA’s UAS Registration Task Force Aviation Rulemaking Committee in November 2015. In June 2014, Declet founded Measure, the leading U.S. Drone as a Service® company, alongside current Chairman Robert Wolf. The nationwide drone operator provides solutions to acquire, process, and deliver actionable aerial data to enterprise customers. Measure outfits its fleet of drones with best-in-class technology and utilizes highly-trained pilots to perform operations that are without exception safe, legal, and insured. Measure’s team of dedicated data engineers ensures that the data products delivered to its customers provide intelligence that adds value to their business. Which industry vertical (Construction, Mining, Agriculture, Oil&Gas, etc….) offers the highest potential according to cost and time savings? Measure is focusing on the construction, energy, telecommunications, and media industries precisely because of the cost, time, efficiency, and safety benefits drone operations add to those industries. In the CONSTRUCTION sector, for example, drones make it possible to repeatedly scan a site at the fraction of the cost of traditional survey methods. They also offer a completely new way to monitor and troubleshoot construction progress, which can yield dramatic cost savings if significant disparities are found between blueprints and the actual work. The combination of bird’s eye view, high-resolution aerial photos, precision measurements, and thermal data make it possible to detect disparities that would not be found in any other way and correct them before they cause expensive errors. In the ENERGY space, our newest solution involves aerial imaging of solar power generation facilities with thermal cameras that can detect malfunctioning, damaged or improperly installed panels. This not only saves time and money by eliminating manual inspections but also helps solar companies maximize energy output and revenues. In one case, Measure identified 200 panels that were not installed properly on a new 15 MW solar farm, preventing the loss of an estimated $20,000 in annual revenues that would have resulted if the problem had not been detected. On the TELECOMMUNICATIONS front, drones provide revenue assurance to tower companies by enabling safer and more frequent cell tower inspections to verify the physical integrity of the tower and identify equipment installed by wireless carriers in leased space on the towers. The aerial photographs also provide a more accurate and comprehensive dataset than manned inspections, which are hampered by climbers’ inability to get a 360-degree view of tower equipment. For the MEDIA industry, the primary benefit of drones is less financial than functional & artistic, thanks to the dynamic camera movements and angles not available from solutions like helicopters and crane-mounted gimbals. The exciting footage that Measure has captured for its customers from totally unique vantage points has reached viewers of everything from local news to television productions to cinematic works. Which of the following challenges do you consider most important and why? Cloud software, drone delivery, BVLOS, multifunctional applications, hybrid platform (VTOL/fixed-wing), operational standards or others? In our view, the most pressing challenge faced by the commercial drone industry in the U.S. involves airspace regulations. BVLOS is, of course, a top concern, but there are many other issues ranging from flights over people and flights at night to using certain types of spectrum for drone command and control links. FAA regulations as they stand limit the work we can do for our customers. With permission to fly beyond line of sight, for example, we could offer long-distance pipeline inspection services that are not possible today. Allowing flights over people would open up everything from building façade inspection to package delivery in urban and suburban environments. Another growing challenge is the growing patchwork quilt of state and local regulations on commercial drone operations. Differing regulations at such a micro level hamper the work Measure can perform in certain locations, increase the time of our operations as we confirm compliance with all laws, and reduce the positive economic impact of drone use. These are some of the issues that we and other commercial drone operators raised in our June 22nd meeting at the White House as part of the administration’s focus on emerging technologies. The sooner we can put some of these pieces in place, the faster the industry will grow. Does the product life cycle of UAV platforms influence your business model? Definitely. Drone technology is changing so quickly that platforms can become obsolete in a matter of months. 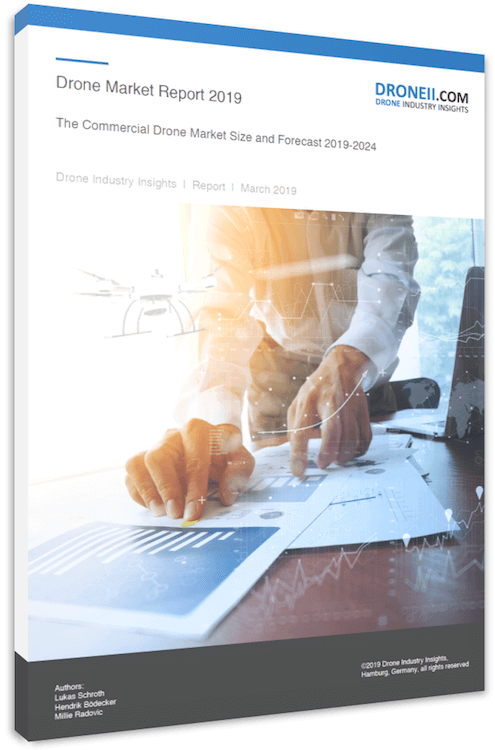 That means that customers trying to build out their own programs are likely to find the drones they purchase gathering dust long before they are ready to invest in new equipment that will give them the newest capabilities. Measure updates its fleet on a continual basis, providing our customers with access to the best technology available without requiring them to make a significant, risky capital investment. That’s one of the advantages of outsourcing drone services to our company, along with eliminating the need to employ expert pilots, understand evolving aviation regulations, and hiring a team of data engineers to transform captured data into actionable information.